Your roof’s health is important. Unfortunately, homeowners don’t give their roofs enough attention. If you wait for problems to arise, you’ll face higher energy bills, infestations, leaks and even mold growth. A healthy roof is a cost-effective roof. It’s also a protective roof. A roof replacement or repair is one of the best investments you can make. Your home’s insulation, in particular, is vital to its overall effectiveness. If you're wondering how a roof's insulation plays a part, don't worry. We’re here to break it down for you. Your roof accounts for approximately 25 percent of your household's heat loss. Insulation “traps” a home’s heat, creating a warm shell conducive to energy efficiency, warmth, and a healthy interior environment. If your roof’s insulation wears out, is damaged or is otherwise missing, your home will get a lot chillier. It’ll also get hotter during the warm months. Roofing insulation can act as a leak prevention tool. If your roof has a major leak, it’ll be slowed by your home’s insulation. If you’re not performing regular maintenance, however, you’ll leave your home open to unwanted water. Even a small leak can result in damages. If you suspect your home’s ceiling is getting soggy, check the insulation. You might need to replace it. 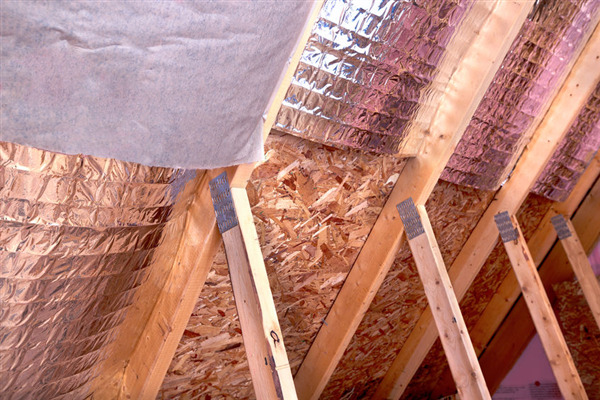 While insulation might seem like a minor household component, it directly increases a home’s value. A roof’s structural integrity is directly related to a home’s worth. A fortified, up-to-date roof can increase a home’s value. Likewise, a weak—or broken—roof can reduce a home’s value. Insulation also prevents mold growth. Mold grows in moist, warm areas. Insulation might get warm, but it fills the many gaps between ceiling beams, walls, and other framework. It eliminates common mold growth areas, reducing mold spore spread and direct growth alike. For this reason, roofing insulation replacement is a good idea if you’re experiencing mold or mildew. Pay attention to your home’s temperature. If you’re experiencing uncommonly hot or cold temperatures, it might be time to check the insulation. Or, if you’re experiencing leaks, you might want to contact a professional. Intelligent Design Corp has been in the business for years, and our technicians are skilled in the art of restoration, maintenance, and installation. Call us today at 763-315-0745 to check out our restoration services. If you need new insulation, don’t wait. The longer your home stands without insulation, the more likely mold growth is. Protect your family, and make sure your property is safe, secure and ready to withstand the elements. « How Does Siding Affect Energy Efficiency?